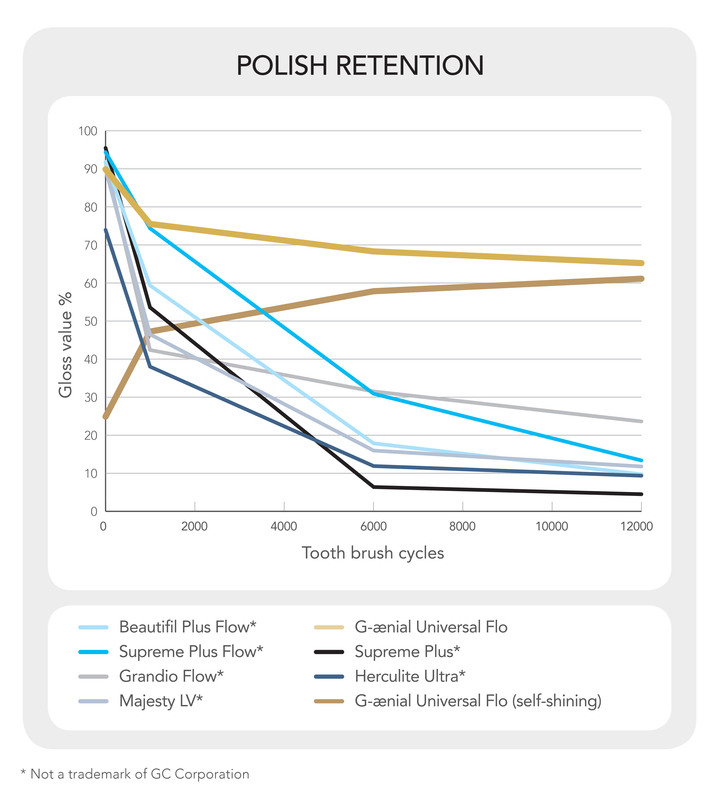 With GC G-ænial Universal Flo you get an exclusive blend of injectable viscosity for easy and convenient placement even in deep cavities, combined with outstanding physical properties for safe and durable restorations. 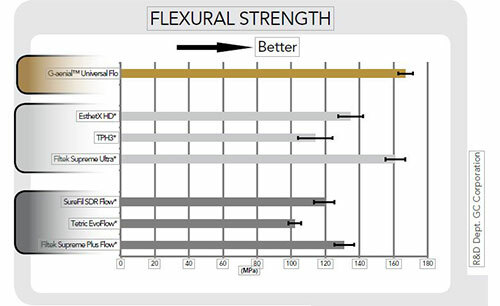 G-ænial Universal Flo provides the answer to many difficult cases where you do not want to compromise between perfect placement, aesthetics and strength. Its unique combination of strength and flowability makes it also perfectly adapted to be used as a light-cured composite luting cement. Flows smoothly for easy placement in the cavity. Highly thixotropic, not runny and stays neatly in place and holds its shape. Very high gloss rate and gloss retention rate. The speed and ease with which a gloss is obtained is extremely impressive. 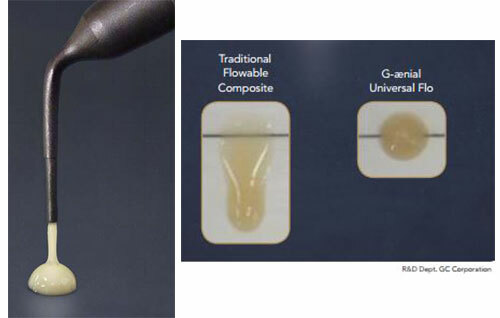 In actual fact, G-ænial Universal Flo can almost be considered to be a self-polishing material.